In the United States, 26 children each day suffer an injury from an improperly setup crib, and many of those cases result in death. This is a tragic and horrible statistic that can be avoided. Obviously, you’re here reading this blog so you are already doing the best that you can to learn everything you can to keep your child as safe as possible. 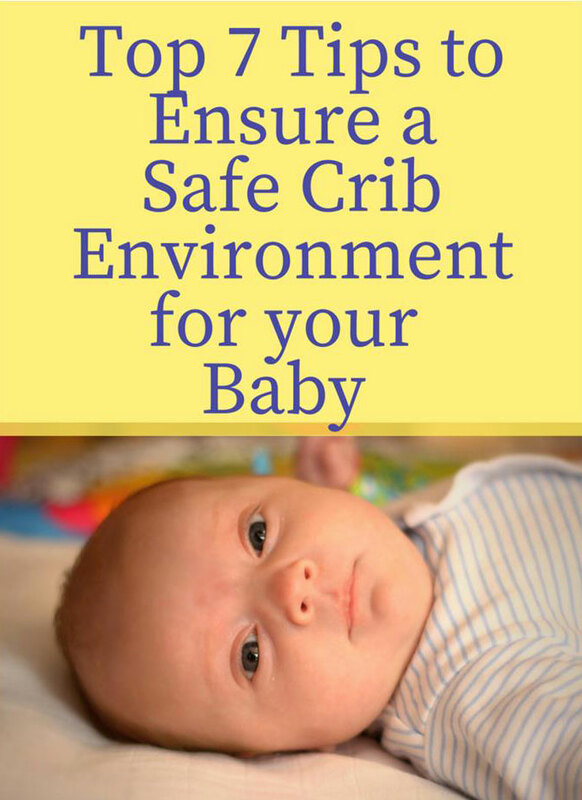 Here are my top seven tips to ensure a safe crib environment for your baby. By following these simple steps, you’ll rest easier at night knowing that your precious baby is sleeping soundly, and safely! The US Consumer Product Safety Commission (US CPSC) banned drop-side cribs in 2011, because many babies had been killed by suffocation or strangulation in those types of cribs. You’ll want to check the federal regulations to make sure that you are getting a crib that meets the specifications, especially if it’s a second-hand crib or a crib from a smaller family owned store as they aren’t as regulated as cribs that are sold in department stores. You can keep reading for exact specifications on slat size and mattress sizes. A quality crib mattress is one of the most important things you can do to make sure baby sleeps safely. It should be firm rather than soft, made of safe materials, and exactly the right size, which we will talk about in a minute. If you’re having trouble picking out the perfect crib mattress, you should read ratings and reviews, like ones from The Sleep Advisor, to make sure you get one that fits your needs exactly. There are state regulations as well as government proposals regarding the correct mattress size, which are in a range between 27 5/8″ to 28 5/8″ of width and 51 3/4″ to 53″ in length. The minimum size should be 27 1/4” x 51 5/8” and the bedding shouldn’t be thicker than 6 inches. If you can stick more than two fingers between the edge of the mattress and the edge of the crib, the mattress is entirely too small and baby is at risk for getting underneath the mattress and suffocating. You want the mattress to be seated just right, where it’s not folding like a mattress taco because it’s too tight, but where there isn’t a huge gap in-between mattress and rails where baby could get injured. It’s tempting to give baby everything he wants, but unfortunately, that’s going to have to wait until baby is a little bit older. Remove all toys, plush animals, blankets, and pillows from the crib. The only thing baby should have besides the mattress, and a tight-fitting sheet, is possibly a swaddle or sleep sack. Some people even disagree with the use of bumper pads. If you are going to use bumper pads, make sure the strings are not in a position where baby could untie them, eat them, or strangle himself with them. You’ll also want to make sure you clear all cords that are within the reach of baby, especially the baby monitor cord, or curtain cords. When baby is old enough to stand, you’ll want to remove the mobile as well as anything else that dangles that could be within his reach. To prevent SIDS (Sudden Infant Death Syndrome), baby should be placed on her back on top of the fitted sheet. If you are going to use a blanket, it should be very tightly wrapped around baby and well below baby’s chest. Check your crib hardware to make sure all brackets and screws have been properly installed and fitted, that no ends are sticking out anywhere, and that nothing is loose or crooked. You’ll want to check for splinters or possible splinters if it’s made of wood. You will need to make sure that there are not any cracked or missing crib slats, and that each crib slat has a distance of no bigger than 2 3/8 inches between slats. Any larger of a space and baby can get his head or neck trapped. You’ll also want to make sure that there are no decorative cutouts in the crib, as baby can get his body parts stuck in those cutouts as well. If the crib was produced before 2011 you’ll definitely want to double check the rail situation, but if the crib is vintage or antique you have a lot more work to do. You’ll have to make sure everything is to federal specifications, that the slat size is correct, that it hasn’t weakened in structural integrity over the years, and that it was not painted with any lead-based paint. 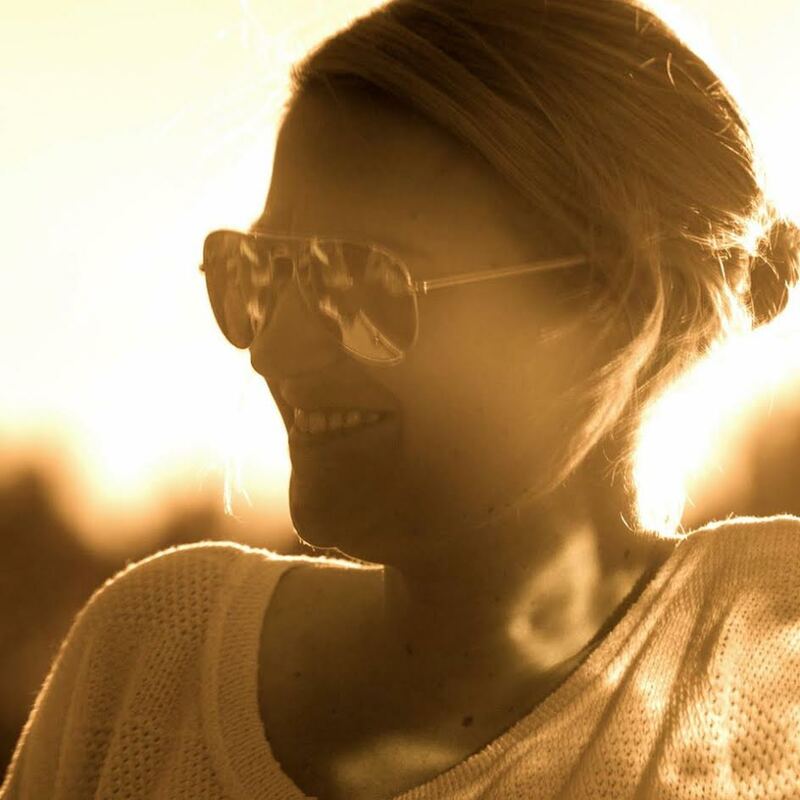 Sarah hopes that everybody that visits her site will walk away with a fresh perspective on sleep. She thinks too many of us like to downplay the importance of it. In Sarah’s opinion, good nights rest makes the difference between an average life and an amazing one.